W. Schubart - U. von Wilamowitz-Moellendorff, BKT V.1, S. 18–20, Nr. 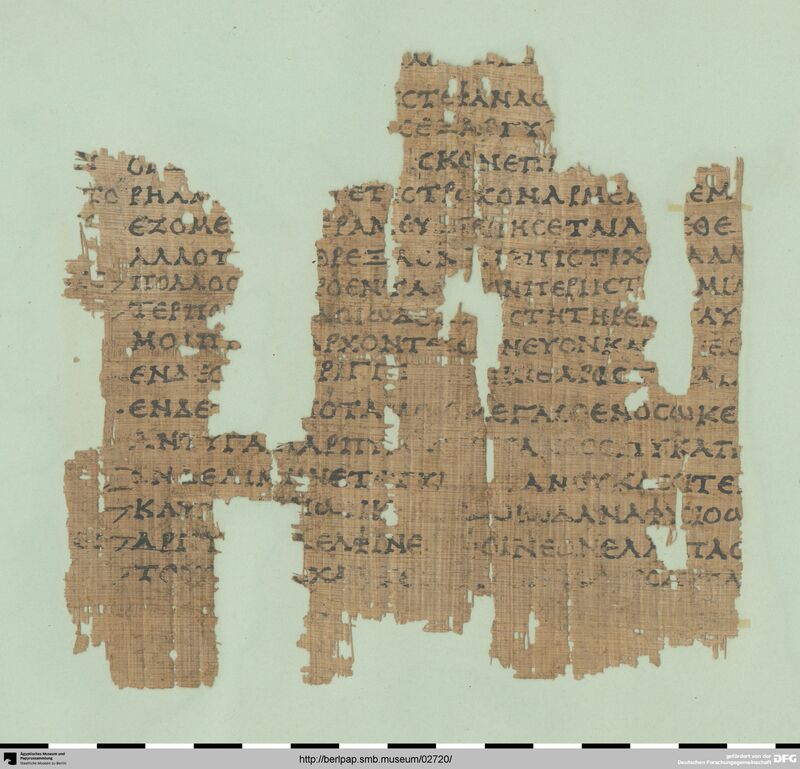 3; S. West, The Ptolemaic Papyri of Homer 132–136. F. Pordomingo, Scriptio plena vs. élision dans les papyrus littéraires: les papyrus ptolémaïques avec des textes poétiques, Pap. Kongr. XXVII (Warschau 2013), 1131; vgl. J. A. Fernández Delgado, Contribution of the New Papyri to the History of Hesiod’s Text, Pap. Kongr. XXVII (Warschau 2013), 22 und 27–28 mit Anm. 29; vgl. G. Nocchi Macedo, Juvenal in Antinoe. Paleographic and Contextual Observations on P. Ant. S.N., Pap.Kongr. XXVII (Warschau 2013), 176, Anm. 45. West, The Ptolemaic Papyri of Homer, Tafel 4; Cavallo - Maehler, Hellenistic Bookhands, Tafel 73.